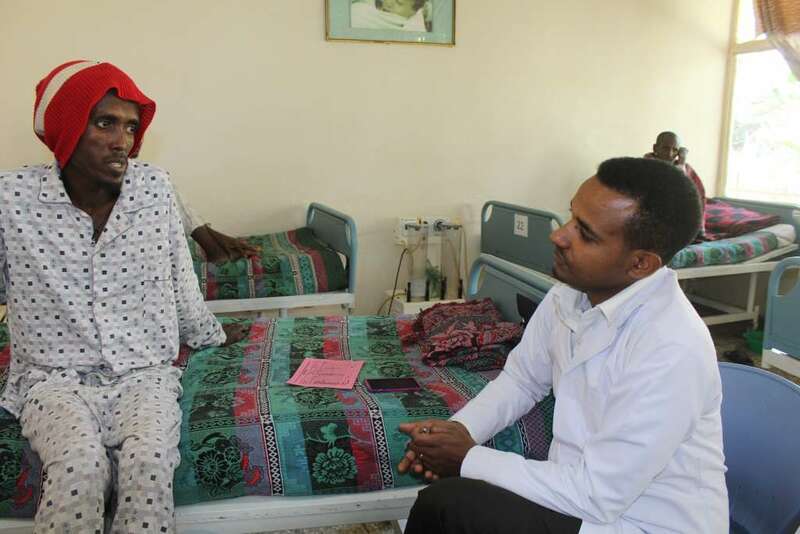 The results of clinical trials conducted in Ethiopia by the Drugs for Neglected Diseases initiative (DNDi), in partnership with Médecins Sans Frontières (MSF), the University of Gondar and Addis Ababa University, open the way for more effective and safer treatments for people with both HIV and visceral leishmaniasis (VL), a group of patients who have historically suffered from poor treatment options. The results were published today in PLOS Neglected Tropical Diseases. Visceral leishmaniasis (also known as kala azar), with up to 90,000 cases estimated in Asia, Africa and South America, is the second largest parasitic killer after malaria, with 20,000-30,000 deaths every year. HIV affects VL by altering its severity, worsening treatment outcomes and relapse rates, and increasing the risk of death. Co-infection remains prevalent in several parts of the world, notably in North-West Ethiopia, where 20 to 40% of VL cases occur in people living with HIV. Current World Health Organization (WHO) guidelines recommend the treatment of HIV/VL co-infection with liposomal amphotericin B (often better known as AmBisome, the brand name of the drug produced by Gilead), but the recommendations lack proper evaluation in most endemic areas. Between 2011 and 2014, the international medical humanitarian organization MSF (Doctors Without Borders) began using a compassionate use regimen, combining AmBisome with the oral drug miltefosine in Abdurafi Health Centre in North-West Ethiopia.